Provenance : The Duke of Beaufort; Christie's, London, 13 December 1983, lot 87. Note : The motto 'Espoier me comforte' is associated with both the Strangways and Tilney families. 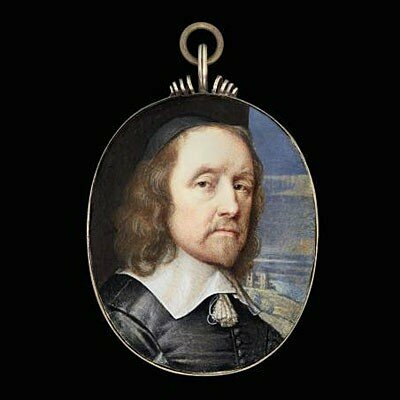 Philip Tilney of Shelley, Suffolk (1540/1-1601/2) had only one son, Charles Tilney (1561-1586) who was hanged, drawn and quartered for High Treason as a Member of the Babington Conspiracy. No sisters or children feature in the printed pedigree. Provenance : Miss J. M. Seymour; Sotheby's, London, 9 May 1928, lot 50 (as Inigo Jones by Samuel Cooper). Robert Bayne-Powell (1910-1994), C.B., Collection. Litteraature : D. Foskett, Samuel Cooper and his contemporaries, National Portrait Gallery, 1974, no. 57, illustrated p. 26. Exposition : London, National Portrait Gallery, Samuel Cooper and his contemporaries, 1974, no 57 (as An Unknown Man, called Inigo Jones, lent by Robert Bayne-Powell). Provenance : The Hon. Felicity Samuel, 1974. The property of a descendant of the 2nd Viscount Bearsted; Christie's, London, 27 March 1984, lot 298. Litterature : D. Foskett, Samuel Cooper 1609-1672, London, 1974, appendix IV, p. 109. A. Darmon, 'Les miniatures: du grand art', in Art et Valeurs, no. 11, February 1990, illustrated in colour p. 17. Exposition : London, National Portrait Gallery, Samuel Cooper and his contemporaries, 1974, no. 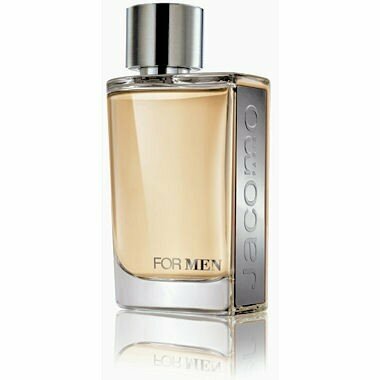 30 (lent by The Hon. Felicity Samuel), illustrated p. 17. 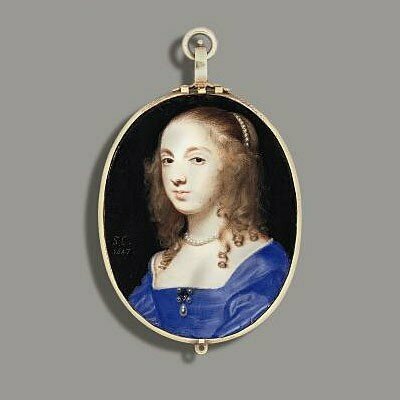 Note : Sarah, second daughter and co-heir of Sir Thomas Foote, Bt., Lord Mayor of London, and Elizabeth, daughter of William Mott of Plaistow, Essex first married c. 1644 John Lewis of Ledston, York (c. 1615-1671), created Bt. 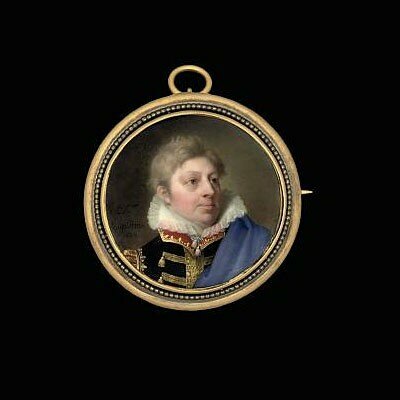 in 1660; and secondly Denzil Onslow of Pirford, Surrey, one of the commissioners of the Navy. She had two daughters by her first marriage; the elder Elizabeth, married Theodophilus Hastings, 7th Earl of Huntingdon; the younger Mary, married Robert (Leke), 3rd Earl of Scarsdale. Provenance : With Limner Antiques, London, 1973. Note : The Hon. John Douglas (1756-1818) was the youngest son of James, 14th Earl of Morton. In 1784 he married Frances Lascelles, daughter of Edward, 1st Earl of Harewood. The present lot was purchased from Limner Antiques in 1973 and was the first miniature in the Gordon Collection. Litterature : D. Foskett, A Dictionary of British Miniature Painters, London, 1972, I, p. 72, II, p. 58, illustrated pl. 186, no. 473. 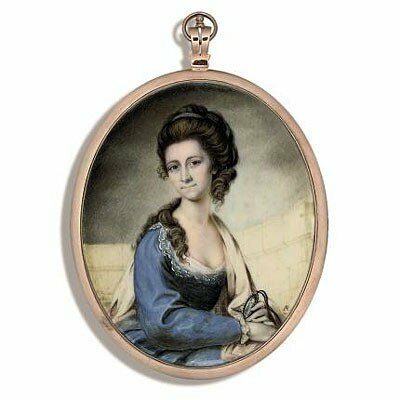 Note : Anne Jean (d. 1787), was the artist's first wife and mother of the miniaturist Roger Jean (1783-1828). 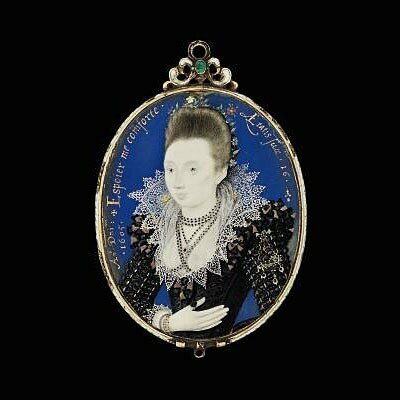 A smaller version of the present miniature was sold, Sotheby's, London, 9 June 1969, lot 48. A further miniature of the artist's wife was exhibited at the Royal Academy in 1803, no. 863. For a miniature by Roger Jean, see lot 88. Lot 105. William, 3rd Viscount Courtenay, later 9th Earl of Devon, in heavily gold-embroidered black coat with high-standing gold-embroidered red collar, and high-standing lace-bordered white collar with tassels, blue cloak draped over left shoulder - signed and dated 'Le Ch. er Augustin. 1824' (lower left) - 1½ in. (38 mm.) diam., silver-gilt brooch frame with beaded border, silk and glazed reverse. Litterature : H. Bouchot, La miniature française 1750-1825, Paris, 1910, p. 221. Note : William Courtenay (1768-1835), also known as William Beckford's young paramour, 'Kitty', succeeded his father as 3rd Viscount Courtenay in 1788. In the early 1780s he sat for his portrait for Romney, which had been commissioned by his admirer, William Beckford. Beckford was forced to embark on a decade of travel and social isolation on the Continent and is now known as a great collector and bibliophile. Viscount Courtenay fled to America in 1811 to escape his creditors, residing at the Claremont on the Hudson before purchasing the Château Dreveil in Paris in 1825-1826, where he lived in great style until his death. Twelve days before Lord Courtenay's death, the House of Lords revived in his favour the Earldom of Devon, which had been considered extinct for nearly three centuries. A preparatory sketch by Augustin, inscribed in pencil 'Milord Courtenay', was in the Pierpont Morgan Collection, sold Christie's, London, 24-27 June 1935, lot 785. 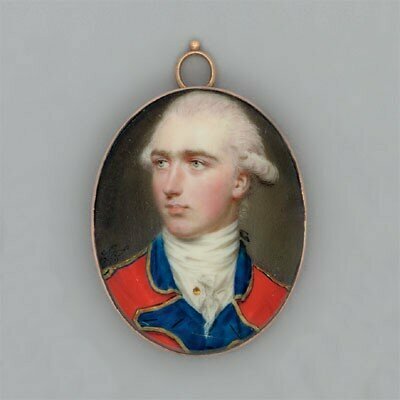 Another miniature of this sitter by Richard Cosway, R. A. was sold at Christie's, London, 10 December 2002, lot 120, and a further smaller example in the manner of Cosway of the present sitter was sold at Phillips, London, 6 July 1983, lot 219. See also Stephen Lloyd's exhibition catalogue Richard & Maria Cosway, Edinburgh, Scottish National Portrait Gallery, 1995, and London, National Portrait Gallery, 1995/1996, p. 122, no. 93, colour pl. 104.